Who are we? The Breastfeeding Specialists of Atlanta! Lactation Consultants of Atlanta was the first private practice in the Atlanta area. More importantly, we are dedicated to assisting nursing mothers, their babies and their families to help breastfeeding become an easy and successful experience. Our International Board Certified Lactation Consultants (IBCLC) are experienced, highly trained professionals, who specialize in working with health care providers to assist nursing mothers and their babies. Lactation Consultants of Atlanta has been providing personal services in the hospital, in homes and in our office since August, 1988 and has helped thousands of mothers and babies. Sharon Birdseye is the leading breastfeeding specialist in Atlanta. 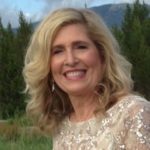 She has been providing lactation services as a board certified lactation consultant for 28 years and is licensed in the state of Georgia. 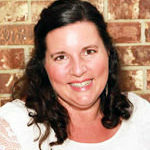 Sharon founded Lactation Consultants of Atlanta in 1988. 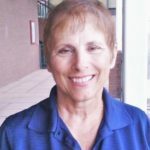 A mother of 3 breastfed boys, Sharon graduated from Georgia Baptist College of Nursing; attended Kennesaw University’s Nursing Program and has worked as a registered nurse since 1968, including 12 years in Labor and Delivery/OB Education. 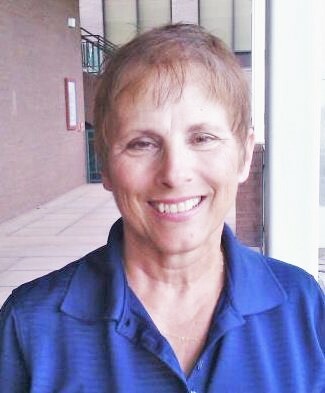 In 2015, Sharon was inducted into the Half Century Club of Mercer University by the Georgia Baptist College of Nursing Alumni Association. Sharon certified as an IBCLC in 1987 and has successfully recertified by education hours in 1992, 2002 & 2012, re-exam in 1997, 2007 & 2018. 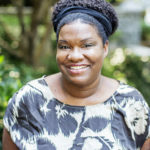 She has guest lectured for Emory School of Nursing’s Midwifery Program, SELCA, La Leche League and Children’s Healthcare of Atlanta and has published articles on breastfeeding. Sharon is a founding member and past president of the Southeastern Lactation Consultants Association (SELCA), member of the International Lactation Consultants Association (ILCA), and the United States Lactation Consultant Association (USLCA). Molly has been supporting breastfeeding families in the Atlanta area as a La Leche League leader since 2007. 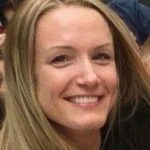 She certified as an International Board Certified Lactation Consultant in 2011, licensed in the state of Georgia and holds a bachelor’s degree in Biology from Centre College. She is a mother to three young breastfed daughters and an adult foster daughter. She is passionate about empowering new parents through their transition into parenthood and supporting them along their journey. Molly has a special interest in working with returning-to-work breastfeeding parents. In her personal life, Molly enjoys being a Girl Scout leader and hiking & backpacking in the North Georgia mountains. Nancy has been supporting breastfeeding moms & babies as a Pediatric Nurse Practitioner since 1998. She holds a Bachelor of Science in Nursing from Vanderbilt University and a Masters of Nursing in Child Health from Emory University. She has been in Pediatrics in a variety of capacities for over 30 years. She worked at Egleston as a staff nurse/charge nurse, Scottish Rite as Supervisor of the Ambulatory Clinic, she was the Coordinator of the State Newborn Screening Program at Emory’s Medical Genetics, and was a Nursing Instructor at Georgia State & Clayton Junior College. She went back to school and became a Pediatric Nurse Practitioner in 1998 and worked for Northside Pediatrics for almost 12 years. She saw patients at Good Samaritan as a volunteer for 2 years. She became a CLC in 2015 and has worked with Lactation Consultants of Atlanta for the last year. She is now an IBCLC & licensed in the state of Georgia. She is the proud mother of 3 (now adult) breastfed children. She is passionate about and enjoys children of all ages & stages – especially newborns, new parents, and the magic of breastfeeding. She likes to read, walk, play tennis, travel, and spend time with family & friends. Beth has been working with breastfeeding families since 2007. She is the mother of 5 previously breastfed children, including a set of twins. In 2009, Beth certified as an IBCLC Lactation Consultant. In 2014, she recertified with educational hours. Beth also has received the certification of Advanced Lactation Consultant by the Academy of Lactation Policy and Practice. 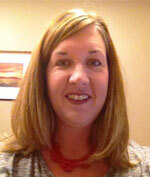 Beth has a passion for providing education to breastfeeding families as well as Health Care providers. She is certified to teach the required 20-hour curriculum for maternity staff as part of The Baby Friendly Hospital Initiative, Ten Steps To Successful Breastfeeding. Beth holds a Bachelor of Science Degree in Maternal Child Health and has the wonderful opportunity to support breastfeeding families in a birthing hospital, outpatient clinic, children’s hospitals and in homes. Her wide range of experience has allowed for a greater understand of the uniqueness of each breastfeeding relationship. Kiana has a passion for helping moms and babies with breastfeeding. Along with contracting with LCA, Kiana also works at Amerigroup Community Care of Ga where she has worked hard to incorporate lactation support throughout the company, not only for their members but for the employees as well. Working to help Amerigroup’s members she developed a prenatal breastfeeding program, educational material, breastfeeding assessment forms, and worked hard to ensure that manual breast pumps were made available to all Amerigroup Ga members. Kiana helped to implement the lactation room for the Amerigroup Ga employees. She is an active member of SELCA holding the position of treasure, and she also teaches the 3rd session of Centering pregnancy at Southern Crescent OBGYN. Kiana’s latest adventure has taken her down the path to becoming a child birth educator, recently certifying as a Lamaze Certified Childbirth Educator. We look forward to helping Kiana grow as an IBCLC and a LCCE. When Kiana can spare a moment from working with all the mama’s and the babies, you’ll find her coming up with all kinds of ideas that may never actually come to pass but she has so much fun imagining they will. Angela is the backbone to our office, keeping things running smoothly and efficiently. Angela attended college and pursued a license in Esthetics, working in the field for many years. Working as an esthetician also led her to working in the front offices where she learned many of the skills she uses to benefit our office today. Angela came to work with LCA after being introduced by friends and family and was also treated by Sharon when she was nursing her first-born son. Angela loves working in the office here at LCA, stating her favorite thing about the job is “all of the wonderful little babies I get see and sometimes hold.” She has two sons and has been married for 16 years. Her boys are very active so if you don’t find her in the office, she may be found on the ball field or curled up at home with a book and spending time with her family.